Men have worn beards since prehistoric times. Scientists born in the first half of the 19th century seem to have been especially susceptible to the attractions of facial fuzz. 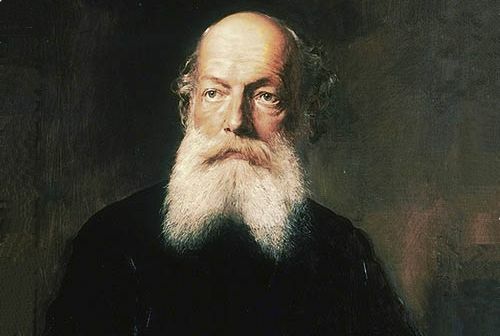 Here are the top 10 scientific beards sported in the golden age of bearded scientists between about 1800 and 1930. 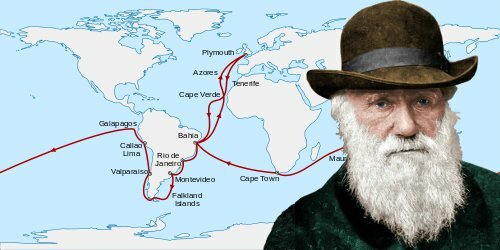 Charles Darwin wrote On the Origin of Species, bringing evolution by natural selection to the attention of other scientists and the public. He chose a whisker-free existence until he was middle-aged. He then made up for lost time growing the magnificent beard shown above. He’s pictured when he was about 72 years old, by which time his beard was almost pure white. Had he wished to, he could certainly have supplemented his work as a naturalist by working as Santa Claus, or Father Christmas as he would have been known in Britain. The false beard worn by most Santas would not have been needed by Darwin. 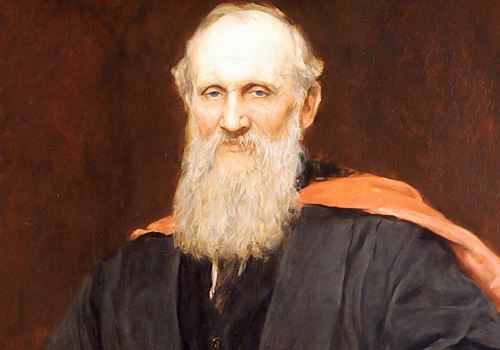 Lord Kelvin, whose original name was William Thomson, was a physicist. He codified the first two laws of thermodynamics and deduced that the absolute zero of temperature is −273.15 °C. The Kelvin temperature scale – where absolute zero is found at 0 kelvin – is named in his honor. Kelvin was also an inventor, devising equipment that allowed transatlantic telegraph signalling to take place via an undersea cable. Over the years he grew a voluminous white beard, which he trimmed at the bottom to resemble a white-haired, paint brush. In his thirties chemistry professor August Kekulé was satisfied wearing unusually large sideburns. In his forties he allowed his face fungus to spread into a fulsome beard. In the following decade he trained his beard to bifurcate splendidly into the rather elegant W shape you can see above. He is pictured at about 61 years of age. Famously, Kekulé had a dream in which the structure of a particularly puzzling molecule – benzene – was revealed to him in the form of a snake biting its own tail. 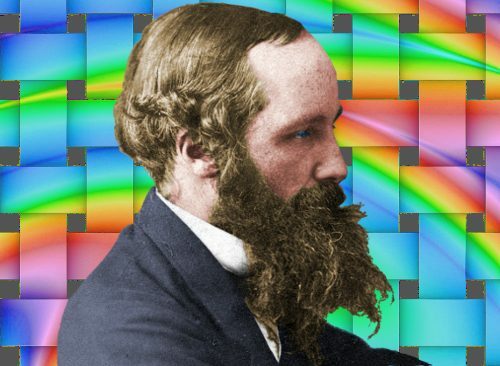 James Clerk Maxwell was a mathematical physicist who unified the forces of electricity and magnetism into a single force – electromagnetism. He deduced that there would be electromagnetic waves and that these would travel at a speed of 300 million meters per second in a vacuum. Since Maxwell already knew this was the speed of light, he was able to establish that light is actually an electromagnetic wave. His wild, untamed, shaggy beard offered anyone who met him a clue to his fiercely original mind. In the 1870s he invented the Crookes tube, which he used to generate cathode rays. By observing the behavior of cathode rays in a magnetic field, he deduced that they consisted of negatively charged particles. Electrons, the particles from which cathode rays are formed, were first formally identified by J. J. Thomson in 1896. Always dapper, Crookes sported a smart, well-trimmed white beard accompanied by a mustache flamboyant enough to put Hercule Poirot in the shade. 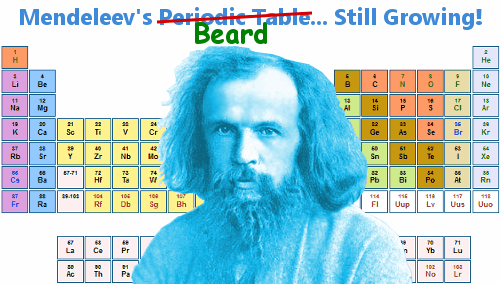 Reveling in long hair and an exuberant beard (he had it trimmed once a year) Dmitri Mendeleev was an electrifying chemistry professor whose lectures were a real draw for students. He invented the fundamental organizing principle of chemistry, the periodic table. 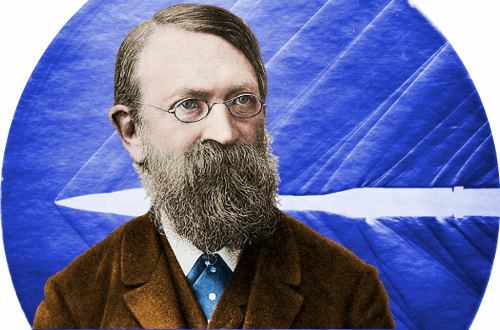 With a beard resembling a luxuriant Brillo Pad, physics professor Ernst Mach deduced that objects traveling at supersonic speeds produce a shock wave. The Mach Number, named in his honor, describes an object’s speed in relation to the speed of sound. For example, an aircraft traveling at Mach 2 is traveling at twice the speed of sound. 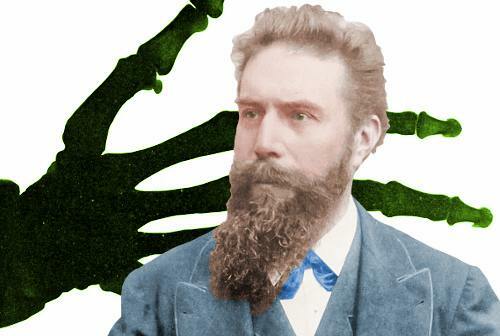 Sporting a long, soft looking beard, Wilhelm Röntgen was a physics professor. He received the very first Nobel Prize in Physics in 1901 for his discovery of X-rays. We know less about Röntgen’s life than many other Nobel Laureates because all of his correspondence was destroyed when he died, in accordance with his last will and testament. 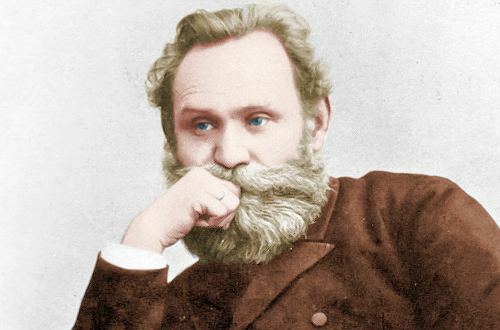 With a thick, sumptuous beard, sufficient to make luxury bedding for a whole horde of hamsters, physiology professor Ivan Pavlov is famous for the phenomenon of conditioning. Pavlov sounded a buzzer every time a dog was given food. At first the dog salivated when the food was offered. As the days went by the dog began to associate the sound of the buzzer with food and salivated when the buzzer sounded with no need for food. The dog had been conditioned to salivate at the sound of the buzzer. 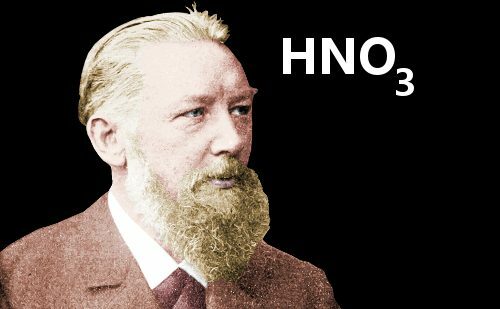 His beard a little rougher and less voluminous for any passing hamsters than Pavlov’s, Wilhelm Ostwald won the 1909 Nobel Prize in Chemistry for his work on catalysis and his identification of the fundamental principles of chemical equilibria and reaction speeds. ha! I tell you THAT is the best photograph of myself i have ever seen and UNDOUBTEDLY the greatest on this list i mean just look at that mustache!!! thank you for the attention! i am a deputy chief librarian in samtse higher secondary school. i am very thankful for those who uploaded these informations regarding scientists. i will share the same to my students. Lol. Great take on brilliant bearded brainboxes. 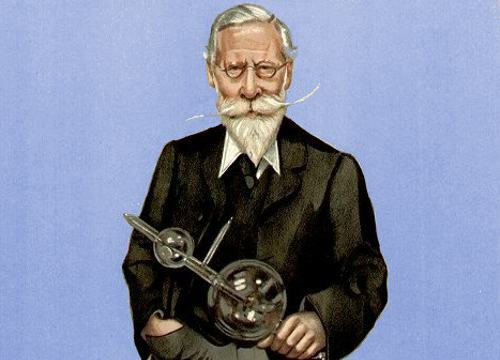 William Crookes is a riot.